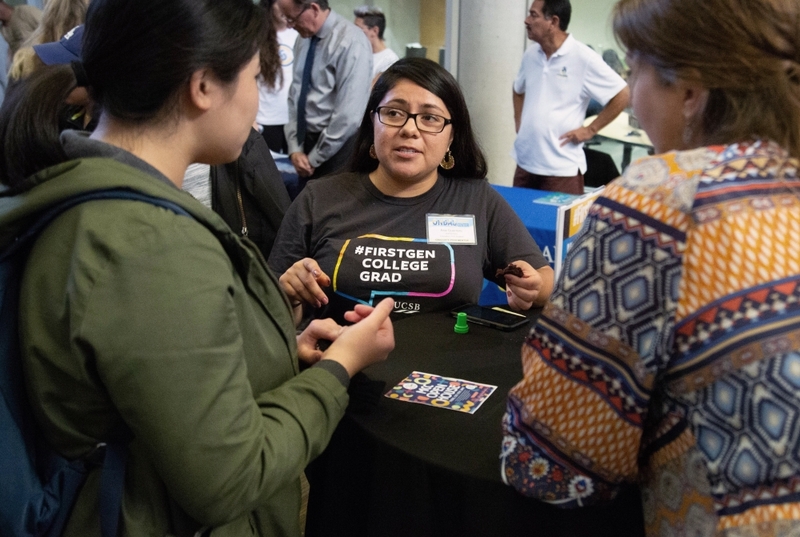 Ana Guerrero, a graduate student mentor at UC Santa Barbara's ONDAS Center, and Vanessa Woods, a professor of psychological and brain sciences, speak with new Gauchos at the #FirstGen Scholars Welcome. UC Santa Barbara CARE advocate and alumna Kayla Lopez speaks with students at #FirstGen Scholars Welcome. 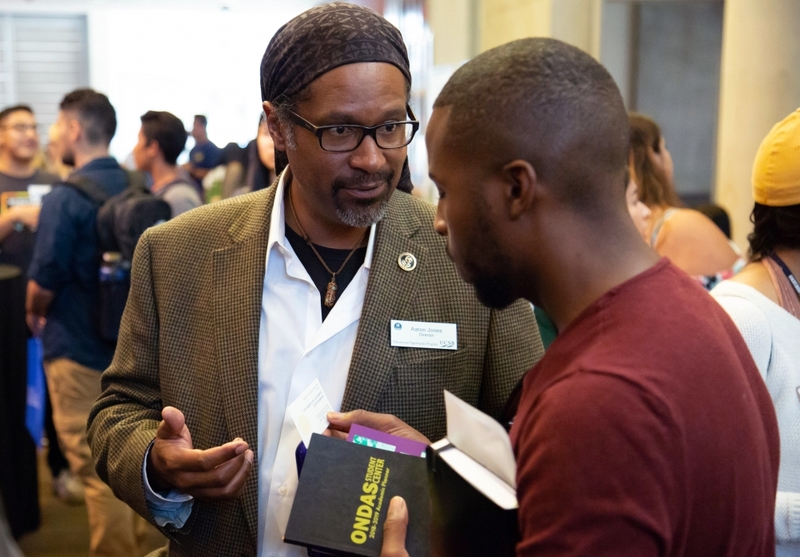 Aaron Jones, director of UCSB's Educational Opportunity Program, speaks with a student at the #FirstGen Scholars Welcome event. UC Santa Barbara's newest first-generation college students gathered inside the Student Resource Building Wednesday, September 26 for a welcome event aimed at connecting them with first-gen faculty, staff and graduate student mentors, campus resources and cultural student organizations. 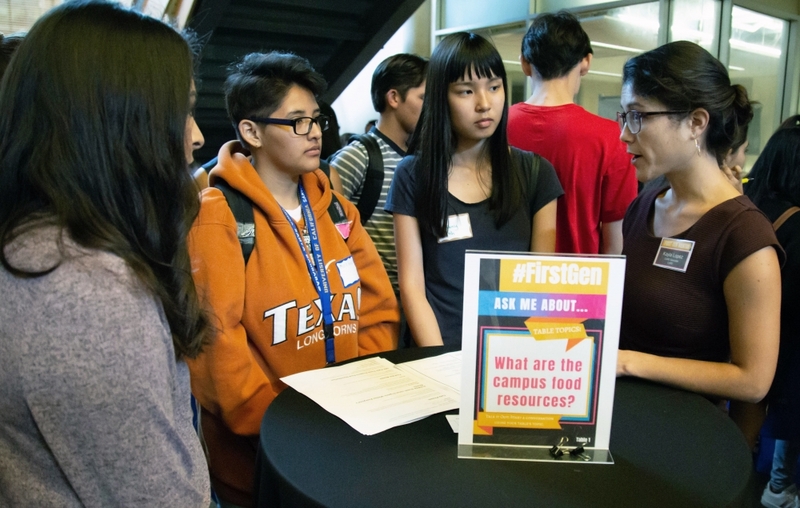 The annual event, organized by the university’s ONDAS Student Center and Transfer Student Center in collaboration with the Educational Opportunity Program, brings together students from diverse backgrounds, providing them with resources that make them feel welcome as they settle into UCSB and will help them succeed throughout the rest of their college careers.